View the Reading Resources Catalog This fourth edition is based on the Professional Standards developed by the International Reading Assoc. (IRA). Educators will get over 100 content-relevant instructional strategies. Each research-based strategy includes a detailed explanation and examples from various content areas. A quick reference guide enables teachers to identify the goal and then choose the strategy that best fits their curriculum and students' needs. 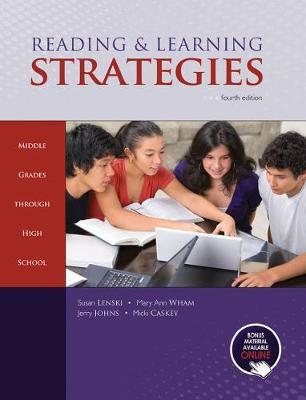 Teachers are encouraged to adapt these strategies to make their own instruction more responsive to their students' needs to help them become effective readers and learners. Access to online bonus material includes 300 reproducible pages for classroom use and additional content area examples.